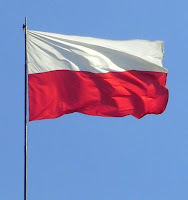 Almost 90% of people in Poland identify as some sect of “Christianity” with about 87% of the population claiming to be Roman Catholic. So when more than 1 million Polish citizens gathered at the nation’s borders to pray for the future of their country, they were mostly praying as a people identifying as Christians. Today, the nations of Poland, Hungary, Czechia, and Slovakia are thankfully all united against the rest of the Socialists European Union (EU) who had dictated the mass migration of Muslims. These 4 Eastern European nations argue that the immigration policies of the EU are threatening to destroy the continents political and economic stability. Which of course is the agenda of the EU. These nations see the flood of Muslims as a real threat to their own future, and so the people gathered to pray – not against Muslims per’se, but for salvation from the calamity that they know lies ahead for Europe. Sadly, because of the twisted philosophy of the mainstream media that’s not what they see. Instead of recognizing an amazing moment of Polish solidarity and an awakening and hope for peace and prosperity, what the media saw was a massive case of so-called Islamophobia a word made up by the terrorist group called the Muslim Brotherhood, which is the revived Ottoman Empire. Citing an “expert on xenophobia,” the AP said that the border prayer event “reinforces the ethno-religious, xenophobic model of national identity,” and represents a “problematic expression of Islamophobia” in the country. The AP wasn’t the only mainstream media outlet to take issue with the overtly Christian commemoration, which was openly supported by Poland’s prime minister, Beata Szydło. It’s not Islamophobia, it’s survival. They worry that if the economy crumbles, if their history is forgotten, if their culture is undone, then they and their nation could disappear altogether. Because the Alphabet soup Media is nothing but the useful idiots of the Fabian Leninist Communists who are in turn using Islam to overthrow all free nations. The enemy of my enemy is my friend. Until they don’t need them anymore. In Slubice Poland a few people dressed up in Crusader costumes, depicting the 300 years that most of Europe was persecuted by Islam until the Vatican authorized the taking back of Jerusalem from the Muslims as well as the people beginning to realize that they were losing their countries to Islam. As a result a bloody war ensued. The Polish people are right to be worried, and the media is wrong to dismiss their concerns as xenophobia OR Islamophobia. Europe is at the same stage of losing their country as they were in the late 900’s AD and for the same reason. So why is it so important to know your history? I’ll let you answer the obvious.